It's been a month full of changes and updates so, just for you, a nice list of what we added. Since they are really a lot of changes I separated them per server so you can read just what you care about, or don't. No, we didn't forget about this server. 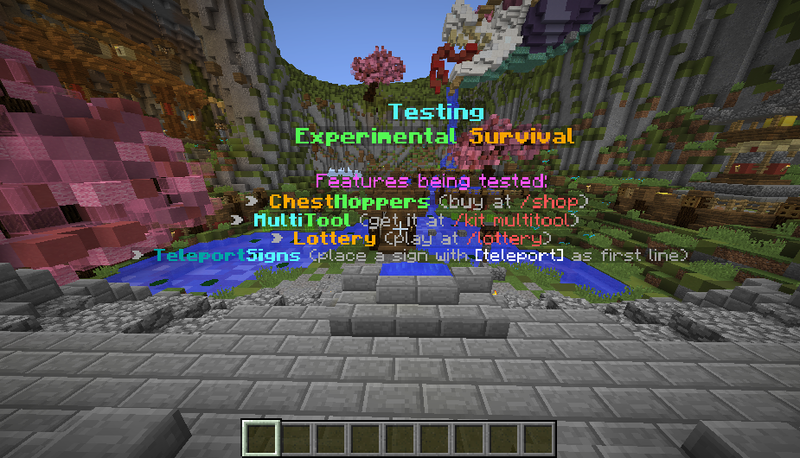 We set it up as a copy of Survival but here you get to try all the experimental and fancy new features. We decided that rewarding people for finding dupe glitches would benefit everyone. Definition of dupe glitch that WILL be rewarded: any kind of action that leads to the unexpected duplication of any or valuable items. If you figure out a way to duplicate dirt please report, but the only reward will be our gratefulness. If you've been exploiting a glitch until now I'll be kind enough to NOT ban if you report it, it's not too late to stop being a bad boi, or girl. 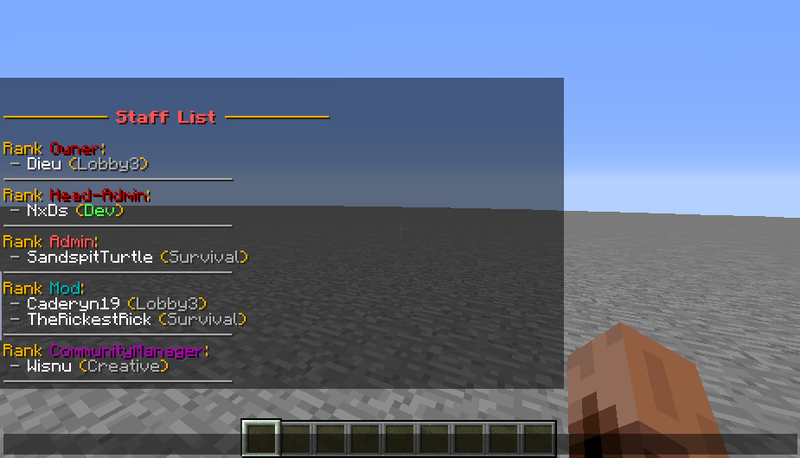 You have now new ways to glitch into stuff, it's like /top but this tps you down. Happy glitching. There will never be enough RPs. - Other stuff. Just go check it out. No need to go through all the servers and spam /staff, you can do it from the comfort of your dirt house and you will get a list of all the staff online with the server they're on. Stalking staff has never been this easy. YOU CAN NOW ANNOY OTHERS BY WRITING IN CAPS TWICE AS MUCH AS YOU USED TO. FROM 6 TO 12 UPPERCASE LETTERS PER MESSAGE. We introduced this long requested feature at last, mobs spawning from spawners will now stack together, the area of effect is 3x3 chunks centered in the chunk with the spawner. The drops rate should increase as well since the mobs won't hit the cap limit anymore. Now also compatible with disc farms and mushroom cow shearing. You know those annoying kicks for flying and too many packets you get when the server is lagging? They're still there but at least now if you're in PvP you won't be killed for quitting while being combat tagged, that's something. You can keep track of the time you wasted now, whenever you come back from AFK it will tell you how much time you stayed away. Why wouldn't you be able to sit on the floor? Or on your friends? Or on your cat? Or on your friend's cat? That's right, RPs and inappropriate buildings have never been so fancy. Just set your nickname with /p nick <whatever> and you're good to go. Yes, you can use colors too. You will get to abuse the power of mute just like our staff but without having to apply. And only within your plot. Everyone hates invisible people so there you have it, /p invisibles to get a list of invisible people on your plot. If you're really bored and you feel like checking out some plot /p random is what you need. I know we said this already in the past and it turned out to be not entirely true, but this time it's true I promise. We fixed cannons and they're not going to crash the server anymore. We also increased the limit of pistons to 240 to make sure you can build any kind of laggy cannon design you like. 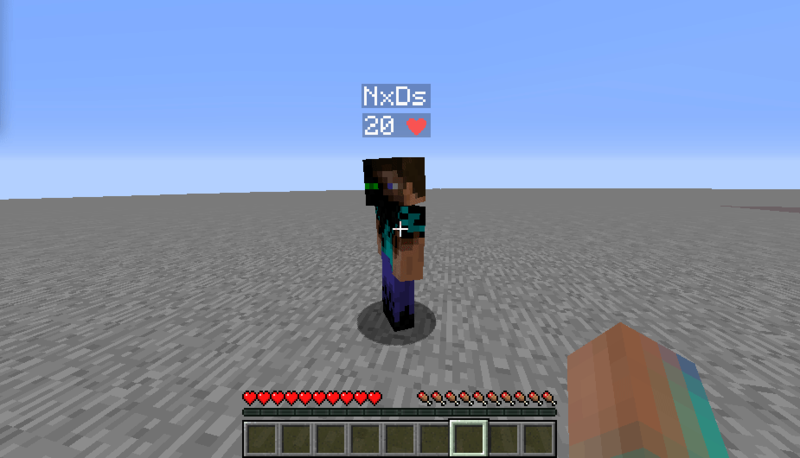 Just like /f inspect (factions) and /p inspect (creative) you can now stalk the people in your claims and see who touched your precious dirt blocks. 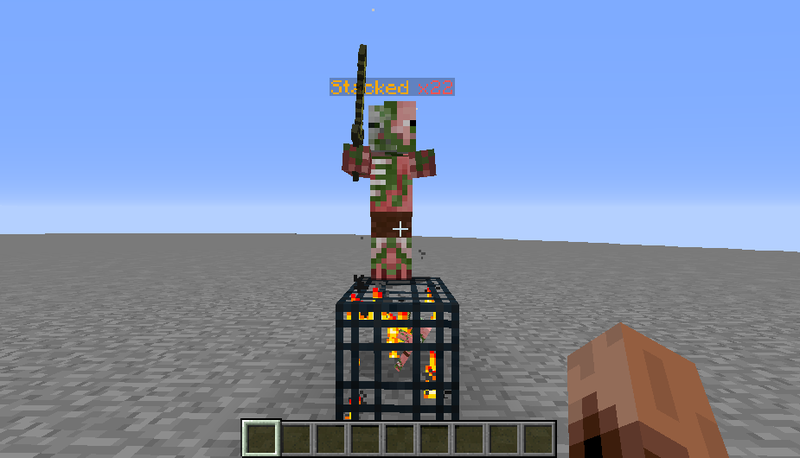 Also finally mob stacking, that feature should have been on the server for a long time now.